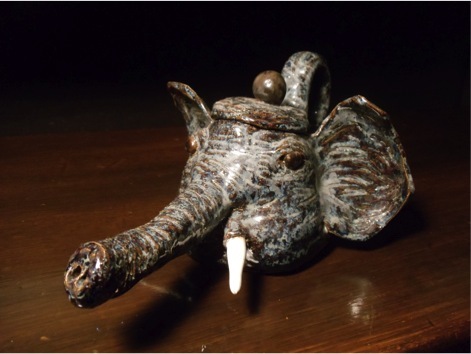 This is a ceramics project from high school. 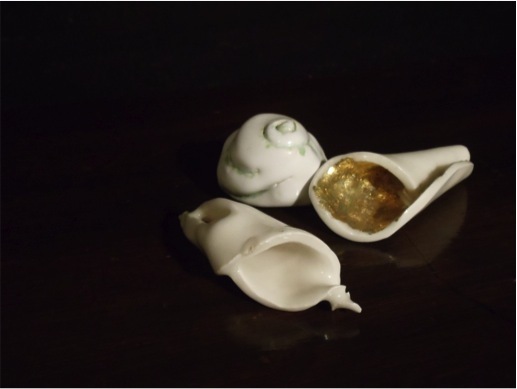 I used porcelain clay, colonial white glaze (with hints of robin’s egg blue), and finished with gold leaf. I keep these at home. They’re not really for sale. 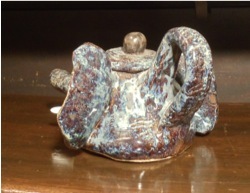 A ceramic teapot I made back in high school. Made with white clay and glaze finish, a simple 2-fire process.